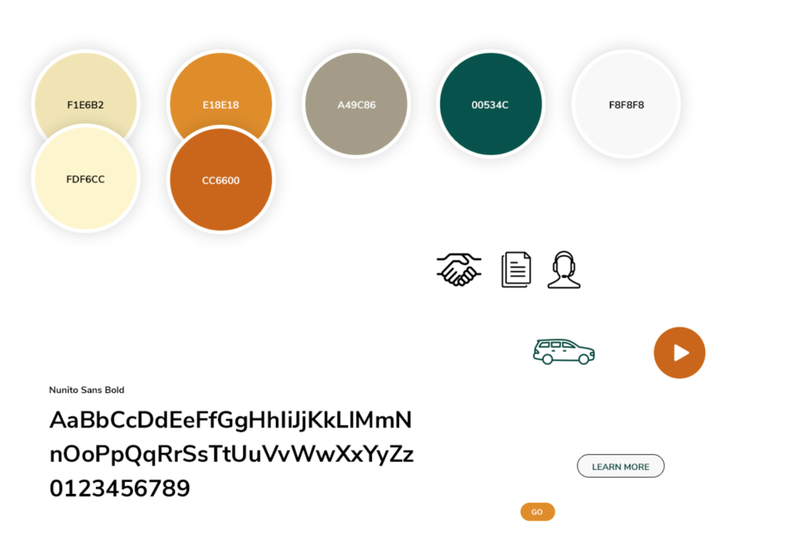 Create a paid search landing page experience that instills confidence in people to take the next step towards purchasing their auto insurance. In any given year, 30 percent of the people who own a car will shop for auto insurance from a different company. Like many other insurance providers, Amica would like to be a part of the shopper's consideration list. However, in an already crowded market it is very tough to have your brand stand apart and your message to resonate. And Amica is typically a more expensive provider than its competition, but it does have superior customer service—as recognized by JDP. Our research indicated that out of the 30 percent of people who shop for insurance, a mere 13 percent are motivated by price, but about 38 percent are looking for better customer service. We also learned that those looking for better customer experience were more emotionally charged in their decision. Simply put, they wanted to make sure whatever happened with their previous provider, wouldn't happen again. This meant that our landing page experience needed to be reassuring. But depending on who is visiting, that could mean a different thing. I decided to create 3 different approaches where we would be able to address the idea of reassurance based on the 3 primary types of shopper groups. The Seeker, who is just beginning their research and getting familiar with what's out there. The Comparer, who is looking to ask specific questions about their coverage type. And finally the Purchaser, who has a lot of confidence and fully understands the pros and cons of the 2-3 final providers in his consideration list. My first approach was a UX concept based on creating a large library of "reassuring" content types as well as the typical information that shoppers would be looking for in their coverage. This idea was based on people's ability to choose on their terms to scan and find what they wanted. The behavior is modeled after a restaurant menu. This approach would also allow Amica to quickly test and optimize the landing page. The second approach was to serve a "curated" landing page experience based on the person's shopping-confidence level. This would require a little more logic where we would pair the types of keywords a person searched for with the type of content that we believed to be the most appropriate for that shopper. The initial approach would be based on a simple matrix, but as we would learn more by testing we would be able to make the matrix more sophisticated and smarter. This approach would borrow from a familiar and intuitive human behavior, "conversation", to create a more comfortable and relatable experience. It was designed to present people with bite-size interactions mirroring the spoken language. The initial version would be a very simple chat BOT and as we would learn the intricacies and patterns of the shopper's needs, we would phase in a smarter augmented intelligence to drive the experience. In order to create a reassuring experience, I designed a simple interface that didn't get in the way of the user. Everything had to feel light and inviting. Their brand colors were modified and paired to create a more contemporary interpretation of the Amica brand, as well as adhering to AA ADA standards. It was also important to convey Amica's values, since so much of what they stand for has to do with providing great customer service. But as an industry, insurance is an invisible product that unless you experience dealing with something unexpected, you never truly know what you are buying. In order to quantify Amica's values I created a visual guideline to help illustrate all the relatable qualities that Amica shares with its customers. A shift in focus from showing what insurance protects to how it enables people who have Amica. This was created to give Amica's brand greater purpose than just simply being reliable—it made Amica more human. Amica is always there…watchful, patient and tireless. We’re with you at every moment, not just the perfect ones. 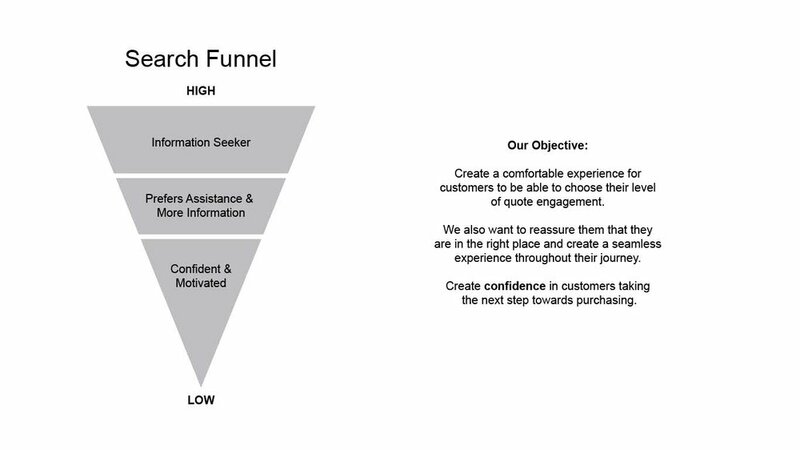 So it’s better to go deeper to get a sense of consumers’ everyday motivations and desires. 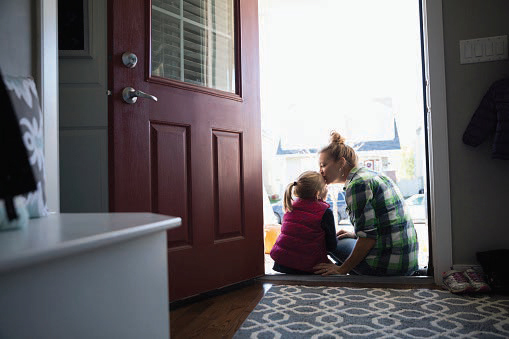 Let’s show how insurance enriches and enables lives with the knowledge that the things that mean so much to us are safe and sound with the help of Amica. Amica becomes relatable when we capture the truth in life instead of the idealized version of it. 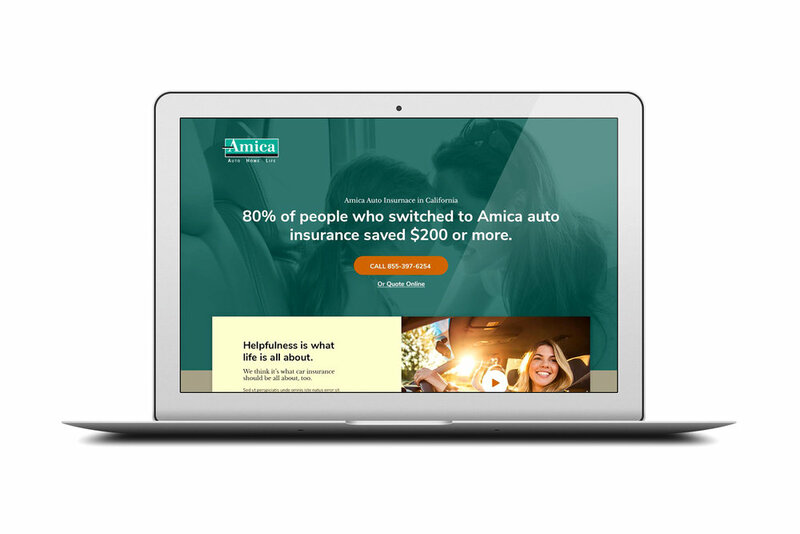 Amica ultimately chose the first approach, which allowed us to create a large content library—expanding from coverage facts to awards and advice. The new landing page system was adapted by all other lines business across their US based markets. The template's flexibility and ease of use has allowed the different business lines to develop custom solutions to deploy, test and optimize. 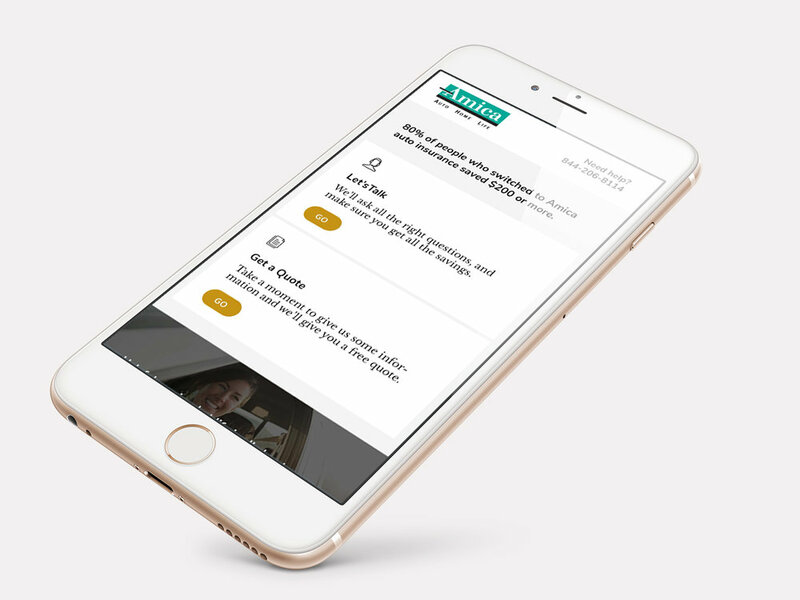 The team is currently testing the new design against the current landing page experience, but the work has already begun to influence Amica's other online properties, including the Amica.com. Click on the thumbnails to see the full design.